Art affects every viewer differently. As they say, “it’s in the eye of the beholder.” However every person who stands in awe before the ancient rock paintings in Zimbabwe’s Matobo Hills will admit to being moved by them. There is something mesmerizing, primal and dramatic in the scenes imprinted into those rocks. They are the permanent story-tellers of a history. 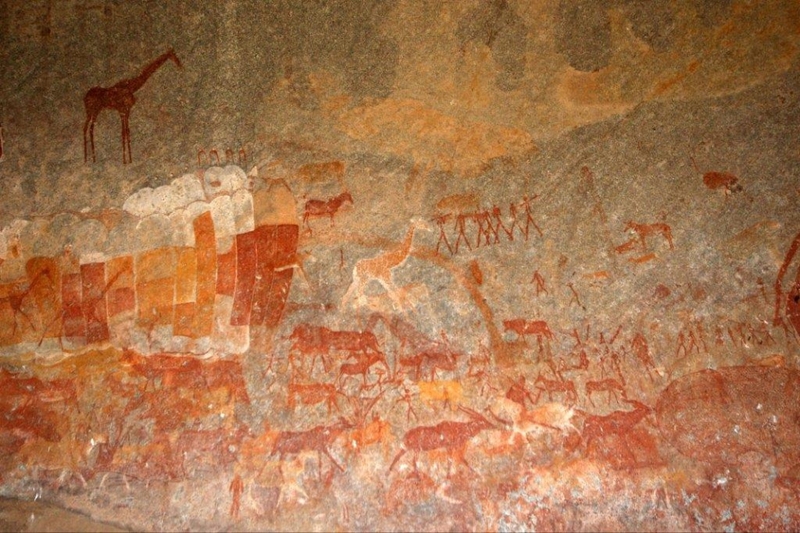 Guests at Big Cave Camp in those ancient Matobo Hills are afforded the unique opportunity to be able to view the rock art and have a guide share the stories, history and myths behind them. This is an activity and experience that will stay with those onlookers forever. The emotional connection and sense of value felt when taking in these artworks is unparalleled to anything modern art can conjure up in an individual. 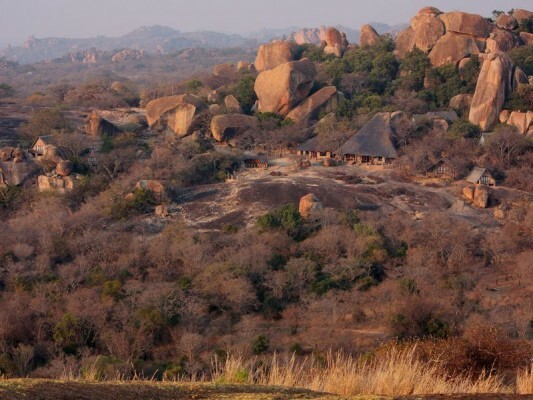 Big Cave Camp crouches on top of the rocks overlooking the vast Matobo National Park. 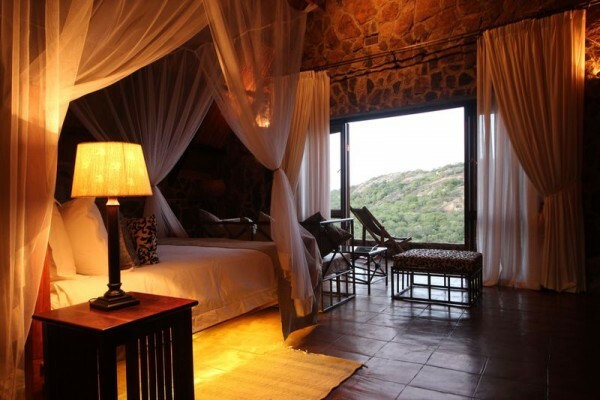 The seven thatched cottages, each with en-suite bathroom and private balcony have been placed in between the giant boulders and their ancient Khoisan rock art. There is a beautiful campsite available to guests looking for an even earthier stay too. It’s a truly ancient setting which seems to speak to the soul. The camp itself is really well situated, on the outcrop with individual views and beautifully presented rooms. But what makes this camp outstanding was Sam’s guided tour – his knowledge of and interest in local history and plants made it an engrossing two hours. Modern day Zimbabwe sits atop the confluence of overlapping historical events from the Bushmen, through the rise and fall of trade routes, all the way through to the 19th Century scramble for gold and control of Southern Africa. 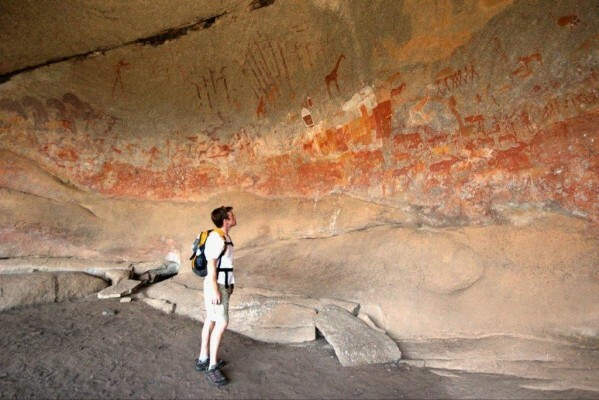 At Big Cave you can get your teeth into them all – Bushmen paintings, iron workings, hidden granaries, Shona spiritualism and later Ndebele spiritualism. It sets you up brilliantly for a trip on to Matobo Park and Rhodes Grave (and Mzilikazi’s grave if you observe the correct protocol). That’s just the history; ask him about the plant life too. If you’re a history fundi, or even if you don’t yet know how important Zimbabwe was historically, I heartily recommend Big Cave. 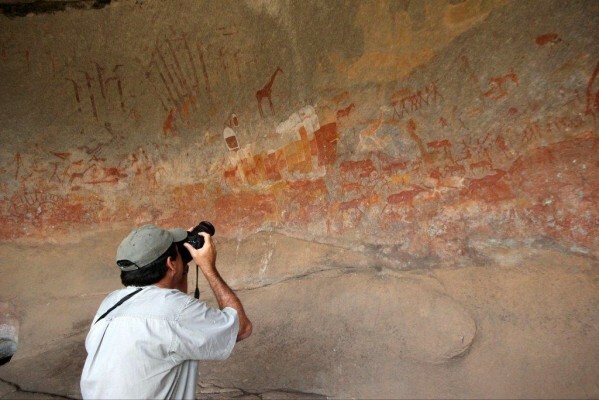 Part of our group went on a guided walking trip in the Matobo Hills Park to discover the paintings and wonderful views. Others (myself [included]) went on a walking safari with [a] close encounter of 2 white rhinos.